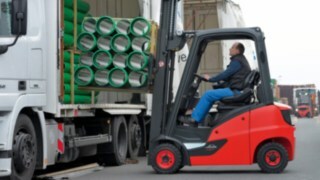 With the launch of its new diesel, LPG and CNG forklift trucks Linde H14 to H20 EVO, industrial truck manufacturer Linde Material Handling has taken its smallest series in the 1.4 to 2.0-tonne load capacity range to the next level. Recognizable by the black design element, which extends into the red-painted chassis, the small EVO now also features significant functional improvements, including the Linde Curve Assist for appropriate driving speed during cornering, a more comfortable seat and armrest generation and a choice between three different driving modes that enable adjusting the energy consumption and power requirement to match the operating conditions. The newly launched diesel, LPG and CNG forklift trucks Linde H14 to H20 EVO fea-ture fundamental functional improvements, including the Linde Curve Assist for appropriate cornering speed, a more comfortable seat and armrest generation and a choice between three different driving modes. To prevent critical situations during cornering from arising in the first place, Linde now also equips its small EVO diesel, LPG and CNG forklift trucks – and thus all its electric and IC counterbalance trucks in the 1.4 to 5-tonne load range – with the Linde Curve Assist. This system automatically adapts the speed during cornering to the steering angle, thereby protecting the driver against risky driving manoeuvers. At the same time, drivers of the new small IC series can look forward to the latest generation of seats, which gives them the advantage of simple weight adjustment, optimized seat pressure distribution, improved vibration behaviour and a choice of mechanical suspension or air suspension. The optional “Super Active Comfort” seat with climate control is available for particularly exacting requirements. Furthermore, the redesigned armrest with Linde Load Control also adds to their comfort. Drivers can easily adjust the length and height of the armrest to their body size using the single-point adjustment mechanism. The armrest also features an integrated storage compartment for wallets, keys or mobile phones. Economical, robust, comfortable and powerful – these attributes apply to the new diesel, LPG and CNG forklift trucks Linde H14 to H20 EVO. 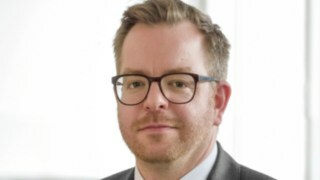 Even though the price of diesel is currently lower than it has been for a long time, fuel efficiency continues to be a topical issue. 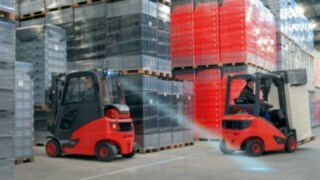 In addition to components such as an economical 26 kW engine and the unique Linde hydrostatic direct drive, the Linde H14 to H20 EVO models now also feature an electric fan which individually adjusts the temperature of the hydraulic oil, cooling water and charge air, thereby ensuring an energy efficient cooling system. Moreover, three different performance modes allow the driver to select the most favourable ratio between fuel consumption and power requirement: the Efficiency standard mode, the more energy-saving Economy mode and the Performance mode for maximum handling capacity. 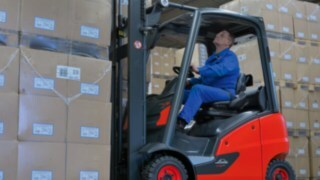 A recent performance test carried out with a diesel forklift H16 D and an LPG-powered forklift Linde H18 T showed that with this new series Linde is clearly ahead of competitors as regards energy consumption and handling capacity. Reliability in use is one of the most important requirements for all operators of industrial trucks. For this reason, the electronic Linde Engine Protection System is installed in the new Linde H14 to H20 as standard. It monitors the most important vehicle parameters, shows error messages on the display in case of impairment and, if necessary, reduces the power output to protect the engine from further damage. The monitored parameters include the engine oil level and oil pressure, the level and temperature of the cooling water and the temperature of the hydraulic oil, for example. With an unassuming, but all the more effective additional feature, Linde ensures a significant reduction of dust and dirt on the counterweight and taillights. The new mud flaps are mounted on the steering axle and are protected from damage inside the vehicle contour. Their advantage lies not only in reduced cleaning effort. For vehicles with road traffic specifications clean taillights are also an important safety feature. So far, the stability of counterbalance trucks was tested statically according to ISO 22915. This was done with a stationary vehicle on a tilting platform. However, in practical operation there are still accidents with industrial trucks tipping over to the side due to incorrect use. This gave rise to the call for a dynamic stability test. Drivers of the new small IC series Linde H14 to H20 EVO benefit from the latest generation of seats and the newly designed armrest with Linde Load Control. 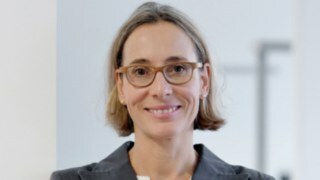 As a consequence, a Technical Committee within the CEN (European Committee for Standardization) devised a dynamic stability test (EN 16203: 2014) based on which the lateral stability of counterbalance trucks with a load capacity of up to 5 tonnes must be additionally verified by the manufacturers. In the so-called L-test, an unloaded vehicle with lowered forks drives on a precisely defined route with initially 90 percent of its maximum speed. After entering the manoeuvring area, the driver must steer the vehicle quickly and steadily around a 90-degree curve. During this manoeuver, the boundary of the course, which is defined in accordance with the vehicle dimensions, must not be crossed. Linde trucks passed all these test runs also without Curve Assist thanks to their design with high-mounted steering axle and low centre of gravity.